We are presenting a highly efficient array of Dust Collectors that are made using most advanced technologies. They are extremely easy to operate and compact in size, we provide them in different dimensions and sizes, as per the requirement. Our this range consists Wood Dust Collector, Centralized Dust Collector and much more. With the support of our adroit professionals and contemporary technologies, we are offering a wide spectrum of Carbon Powder Dust Collector that is ideal for the purposes like critical dust or bulk dust material collection. This dust collector is usable in rubber industries, plastic industries, machine shops, leather industries and similar others Offered dust collector is accessible in a number of specifications according to the requirements of clients. In order to cater the diversified needs of our clients, we are engaged towards providing a wide range of Cartridge Dust Collector. This product includes cartridge filters, bag houses for the smooth operation. Offered product is inspected on numerous parameters in order to deliver a defect free range. Also, we offer this product in assorted specifications to meet the diverse needs of customers. 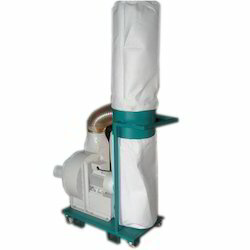 Owing to our rich industrial experience, we are offering Portable Dust Collector. The offered range is manufactured using ultra modern technology and sophisticated machines, that are handled by our personnel. These professionals ensure to bring this range in strict conformation with the industry laid guidelines and norms. Available in different capacities as per the demands of clients, this range is ideal for collecting all sorts of fly and cutting dust generated from the process machinery. The Portable Dust Collectors, offered by us, are designed to match all kind of dust collection suitable for all types of Explosive dust materials. Our expert engineers will provide the best design for complete control on efficient Flame/Ignition proof dust collection of the industrial needs.Additionally, our Explosion proof Dust Collectors have a various specification and also designed according to the customer's requirements. Our organization is devotedly involved in offering an exclusive array of Ceramic Dust collection Collection Systems that find application in like dust extraction at individual machines and manual workstations. This system is designed in obedience with the set standards by using the top quality material. Our system ensures a clean work environment at filling stations or manual workstations. Customers can avail this system from us in diverse specifications within a given time frame. We are successfully ranked among other range and almost trustworthy organization presenting a wide range of Modular Dust Collectors. These modular collectors are equipped with hose, and motor attached with a control panel. It is easy to use due to operator friendly control panel. Apart from this, clients can get the collectors from us within the stipulate period and at cost effective rates. Riding on unfathomable volumes of industrial expertise, we are offering an extensive range of Buffing Dust Collector that is used to collect the complete saw dust from the cutting source. The offered dust collector propelled by electrical means and is ideal for wood carving, shaping, routing, sawing & planing. This dust collector is compact in size, easy mobility and robust in construction to suit industrial applications. 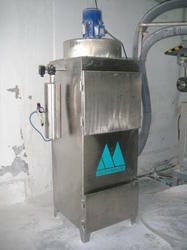 Altomech Dust Collector is used to meeting the need of dust collection. Hence this can be done with the help of top most technology and its design. This is manufactured with high efficiency, stability, and smooth working. Customers can avail this work station from us in diverse specifications within a given time frame which will be customized in design. We are the leading organization actively engaged in manufacturing and supplying Cotton Fluff Collector. Fine sub-micron particulate is trapped in the electrostatic filter and clean air is released back into the working zone. Offered collector comes with the surety of low power consumption. 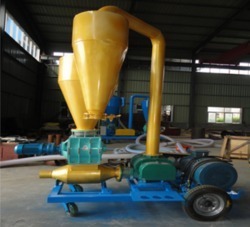 We have emerged as a prominent manufacturer of Cyclone Dust Collector. This range is designed using the high-grade raw material, which makes it usable in rubber industries, plastic industries, machine shops, leather industries and similar others. Ideal for the purposes like critical dust or bulk dust material collection, this range is known for its compact construction. 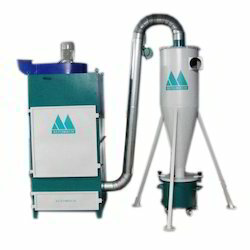 Our company is well reputed one of the prominent manufacturer of Multibag Dust Collector. 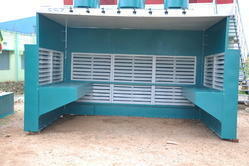 Our company is committed to providing the best quality of Jet Dust Collector. 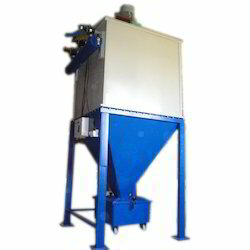 This Jet Dust Collector is highly demanded by clients due to its excellent performance. 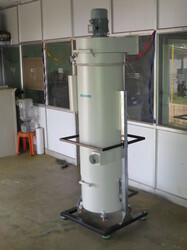 Also, the smooth performance of this Jet Dust Collector is highly appreciated by clients. 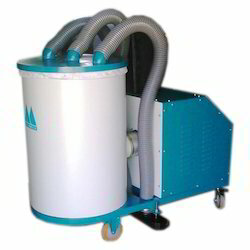 On the other hand, this Jet Dust Collector is easy and comfortable to use which satisfy the clients most.